New York is home to several state-regulated 18+ casino gambling venues. Visitors and state residents can easily enjoy access to several commercial casinos, tribal casinos, online casinos, and racinos – which combine the experience of a racebook with casino gambling equipment. Further detailed are the features of New York’s most popular brick and mortar casinos, other available casino venues in the Empire State are also listed. A handful of Native tribes reside in the Empire State; The Cayuga Nation, the Oneida Nation of New York, the Saint Regis Mohawk Tribe of New York, and the Seneca Nation of New York have each negotiated a gaming compact with the state to offer Class II and Class III casino gambling games. Due to the Indian Gaming Regulatory Act, federally recognized tribes with gaming compacts may determine acceptable minimum gambling ages for each of their casino venues. Turning Stone accepts players that are 18 and older and allows them access to all of their casino gambling options. This New York 18 plus casino is spacious as the casino has managed to fit a massive game floor, golf course, lounge area, nightclub, spa, fitness lounge, and multiple stores and restaurants. The game floor itself is packed with slots and card tables armed with experienced dealers. Turning Stone is often commended for its well-priced drinks, excellent food, and impressively hosted events from musical performances to sports tournaments. This resort stops at nothing to provide excellent service by offering guests unique packages from private fishing land, hunting grounds, tennis courts, and other features exclusive to their stay at Turning Stone. This New York tribal casino only accepts gamblers over the age of twenty-one. The huge open casino floor is open all day and night and includes a smoking and non-smoking gambling area. The casino recently renovated the lobby and offers spacious rooms. 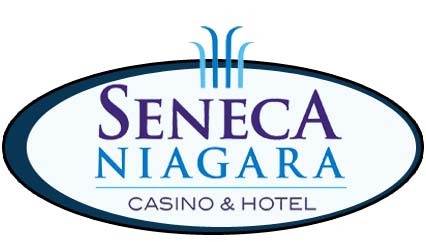 The Seneca Niagara Casino Hotel also offers a buffet, restaurant, and spa with a hot tub and pool. The state of New York offers lavish casino venues which are directly licensed by the state government’s Gaming Commission. Upstate New York tends to host the majority of licensed commercial casinos. Below we provide an extensive review of what the most popular venues provide, their minimum gambling ages, and other useful information for players and guests. 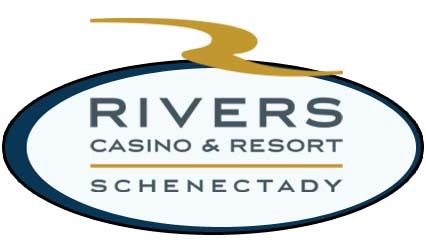 The Rivers Casino and Resort Schenectady have a set minimum gambling age of at least 21. This means those who are underage are barred from stepping on the casino floor and gambling on any slots, table games, poker games, and video gaming machines like poker and keno. The Rivers Casino and Resort in Schenectady often holds various events, shows, and musical performances. The layout and design of the casino are rather modern and updated with an appealing energetic atmosphere despite its boutique size. The game floor offers a variety of slot machine titles and plenty of table games. However, this casino’s tables are usually full, and the game floor congested during evening hours of the weekdays. The Rivers Casino and Resort employs a robust security team, police patrol, and 1,000 security cameras to ensure player’s safety among all square footage of the resort. The casino here is known for their low minimum bet requirements as favored by players. However, recent reviews reveal the casino may be a tad understaffed leading to an overextension of roles and less specialization, which in turn forces inexperienced individuals to be placed in unfit roles such as managers, dealers, bartenders, and pit bosses. Nonetheless, friendliness and a willingness to help is typical of any staff member here. Other notes of the Rivers Casino and Hotel in Schenectady are their average priced menu items and drinks, standard room accommodations, and no pet rule for their entire establishment. 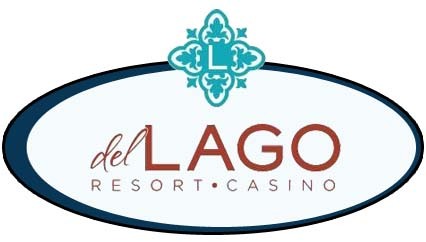 The Del Lago Resort and Casino requires players to be at least 21 to participate in their gambling offers. The 94,000 sq. ft casino floor provides a hearty selection of slot games, card tables, and poker rooms for all eligible aged New York residents and visitors to enjoy. Minimum bets are hefty in this establishment as most table games require a $15 minimum. The entire casino is a non-smoking venue, providing fresh air and a cleaner atmosphere to traditional casinos. This casino also hosts several shows, immense parking availability, and a Farmer’s Market Buffet. Service concerning food and drinks tends to be timely at least based on reviews at the time of this writing. The casino’s resort also provides ultra-modern accommodations, a spa facility, and a fitness center for guests. This casino only allows players over the age of twenty-one to enter and gamble within their facility. This small non-smoking venue surprisingly holds 2,150 slot machines but is limited in terms of blackjack tables, poker tables, and other card tables, as well as, additional seating outside of their slot area. A few reviews have stated that while the staff is attentive at this gambling location, pit bosses tend to be inexperienced and dealers have little to no proper training. Secondly, an issue of becoming lost here is standard even though the venue itself is small. Guests have suggested that a directory or placement of information signs would correct this issue to which management has taken note. 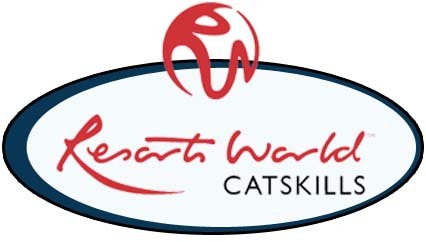 Aside from this, the Resorts World Catskills Hotel and Casino offers an exterior relaxation area, beautifully modern rooms, and ten unique dining options for guests. The Tioga Downs only allows bettors of age to gamble, which for this venue is 21. The layout of this casino is rather organized and well-planned, both the indoor and outdoor areas host a snack and alcoholic beverage bar. This venue is small but employs excellent staff, experienced dealers, fast servers, and capable managers as there are rarely any complaints about this venue. Room accommodations are exceptional, the exterior of the casino is well looked after and the grounds are regularly manicured and managed. Tioga Downs is known to offer a great buffet and incredible 15ft waterslide for their pool. Outside of their usual casino and resort offers, Tioga hosts several concerts, personal and business events, as well as, golf tournaments, multiple dining options, and its own racebook. Racinos typically begin as raceways or racetracks for horses and greyhound events and are later transformed, via legislation, into integrating video gaming machines and betting terminals. Below is a list of viable and active racinos in New York. Wagering on horses and playing on electronic gaming machines requires bettors to be at least 18 or over. Is New York Looking to Embrace Online Casinos? A number of casinos are already armed with pseudo-online casino portals and capabilities. Others are applying for online casino licenses after seeing the profitability online gaming can supplement towards brick and mortar earnings. Various tribal casinos are currently offering free plays of their online casino gambling since the state has yet to legalize online gambling, these NY online casinos are limited in their offerings as they are not traditional casino gambling offers and are prototypes of their online infrastructure: online casinos are included for the Akwesasne Mohawk Casino Resort, the Seneca Buffalo Creek Casino, the Seneca Allegany Casino and Hotel, and the Seneca Niagara Casino Hotel. New Yorkers may want to enjoy the convenience of online casinos without the pressure of needing to physically appear to sign up and join a New York based-casino online or any other state-based gambling offer. Rather offshore online 18+ casinos, which are perfectly legal if licensed and regulated by an overseas country, provide immediate access to games without the hassle of pre-game setups.